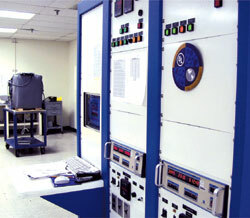 The Kooltronic Research and Development facility in Pennington, NJ has provided specialized testing services to the electronic cooling industry for over a decade. We have the resources and the experience to help you find the best solution to your cooling problems. 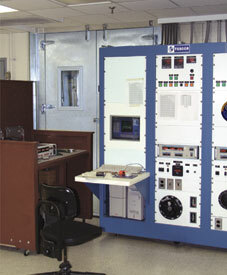 Our facilities are capable of full performance testing of fans, blowers, air conditioners and heat exchangers, and we specialize in environmental testing of your electronic enclosures in order to ensure successful system integration. At Kooltronic all of our prototype units undergo rigorous testing before they can be added to our line of quality products. Our goal is accuracy and excellence. Contact our Engineering staff at the design stage of your project, or call us with your project details, and let the professionals work for you. Kooltronic’s experienced professionals are ready to help you at any phase of your project, from conception to prototype testing. 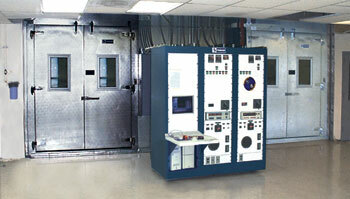 All tests are conducted under controlled voltage, temperature or humidity conditions as required. UL 484 - Room Air Conditioners - This standard covers equipment intended for installation in a window, through a wall or in an electronics enclosure. 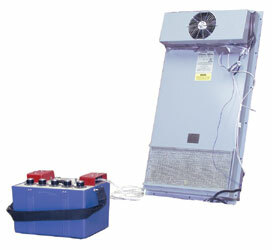 UL1995 - Heating and Cooling Equipment - This is a more generic standard for equipment not covered by specific standards such as UL484. This standard covers a wide variety of heating and cooling equipment, from factory made packages to components of a field assembled system. UL50 and UL50E - Enclosures for Electrical Equipment - These standards cover the construction requirements for electrical enclosures, for mechanical strength and protection as well as protection from the elements in accordance with the National Electrical Code. Heat exchanger undergoing a motor test. 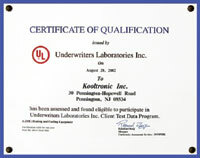 The Underwriters Laboratories Client Test Data Program - This program allows us to test and submit the data collected to UL for product approval. To qualify for this program our testing facilities and procedures are audited annually via a field inspection by an authorized UL representative. Qualified personnel at Kooltronic use the most modern testing equipment available to ensure complete, accurate and thorough results. 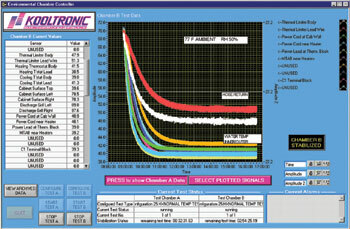 Consult with Kooltronic during the initial phase of your equipment or system design.